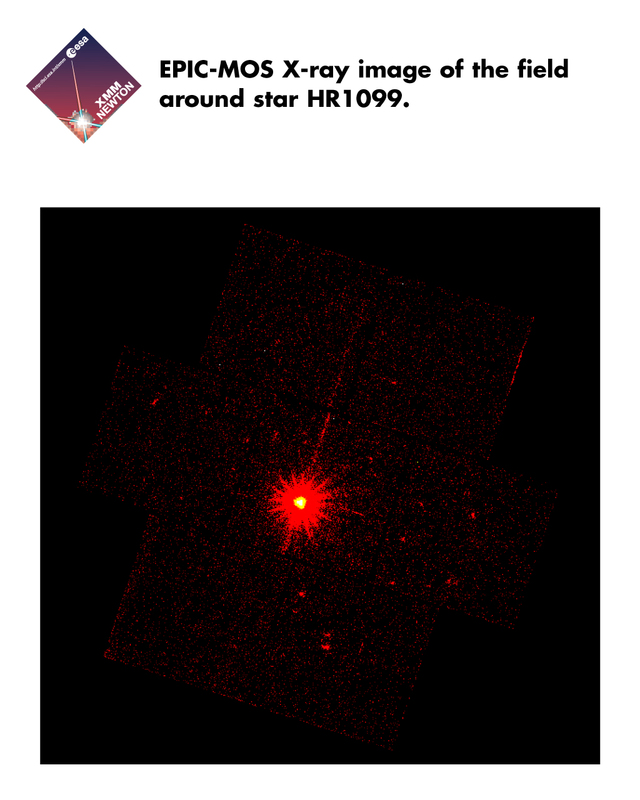 X-ray image of the field around the bright star HR1099. 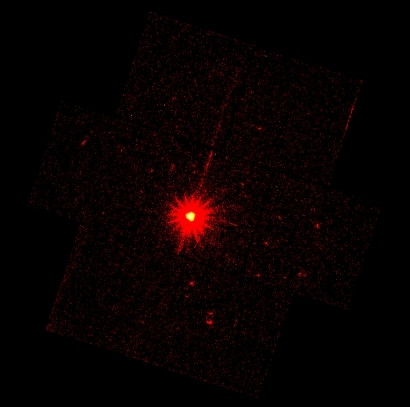 This X-ray image also illustrates the collecting power of XMM, as many of the other X-ray sources in the image were hitherto unknown, or allow more detailed studies of these objects than before. HR1099 is a nearby star with a hot corona which is very active in X-rays.